In this demo, you will learn all about those technical details concerning brushes which you might have always wanted to know but never dared to ask. Melbourne artist, Kez Hughes, will tell you a little bit about how brushes are made and how to choose the right brush based on their shape and desired application. You will learn about the differences between animal hair and synthetic fibres and the use of speciality and decorative brushes. Hughes will conclude her presentation with some practical tips on brush care and restoration. Kez Hughes is a practising realist oil painter who graduated from VCA in 2015 with a Bachelor of Fine Art (Hons). 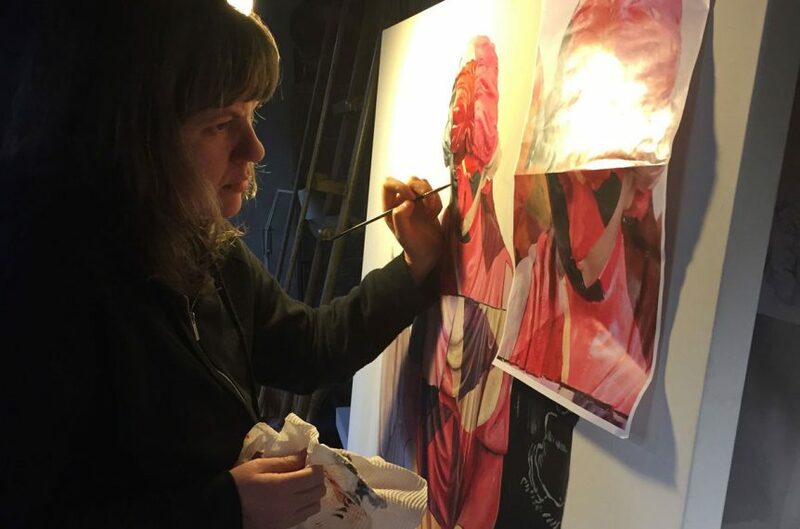 Kez has spent over 14 years working with the two major oil paint manufacturers in Australia and has gone on to lecture in Materials and Techniques at VCA and The Ian Potter Centre for Cultural Materials Conservation. She currently teaches at Fitzroy Painting and is co-director of CAVES, a curated, not for profit gallery located in the Nicholas Building. Strictly limited numbers. Please book a HERE to reserve a place.